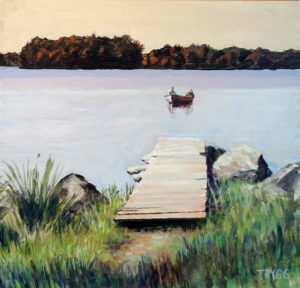 New Paintings from artist Leif Trygg are featured, beginning on First Friday April 1st from 5pm to 8pm at Oak Leaf Studio, 247 Oak Street between Hanson Howard and the Ashland Art Works. Departing from pastels, the Ashland artist unveils new small-format acrylic paintings that he calls intimate landscapes. Featuring scenes from Southern Oregon and beyond, Trygg turns a common view into a uniquely personal experience.